LARS FENIN has been a shitkatapult artist right from the start. his first ep “container“ (strike 19) already displayed his unique dub techno trademark sound in the late nineties. several eps and one wonderful album (“grounded“) later shitkatapult proudly presents his second album “been through“ in may 2008. and FENIN truely developed: “been through“ steps out of the dub techno circus to involve much more. firstly rhythmwise you can recognize that the dub step era influenced the berlin producer: 4 to the floor beats have partly been replaced by strong broken patterns that still deal with a dancefloor feeling but with their subtle breaks and moves develop into a very own approach to electronic dancehall. secondly and more important: just as other shitkatapult artists like T.RAUMSCHMIERE and APPARAT for example, FENIN developed his songwriting skills that already led him to his most impressing track so far (“none of them“ from “grounded”). the track “A TRY“ is far out! heartbreaking lyrics on a wonderful conscious tune, that easily merges dancefloor and listening approach. fenin’s charming comrade GORBI, a berlin based singer from ghana, lends his unique voice for this beautiful track. far away from being a ripping wanna-be jamaican reggae toaster, GORBI showcases a real african singer spirit in his work. as a whole “been through“ contains 4 tracks with GORBI: the very african “colourfields“, the majestic “a try“, the silent “I guess“ and the smiling cover version of “red red wine“ mark a line of tunes, songs - not tracks. If you are looking for the original reggae tip of “been through“ you might prefer jamaican toaster SCORCHA with whom FENIN created “complain“. this is funny stuff as well as serious in all matters, jamaican idea. the instrumental backing is not what you would call a skanking reggae beat - but develops under SCORCHA´s classical toasting to a first class digital riddim. and you can feel how much SCORCHA was inspired by this beat: the lyrics go deep into jamaican science talk. (“... like a computer i am the main frame...“) so far so good. to make it a classical FENIN album you can also still taste the dub techno beat on tracks like “miles and more” and the first single track “breakin“. “breakin“ is a little machine - it merges dub and techno with the “popcorn“ link - the beginning of electronic pop music until now. abstract fun and deep grooves. to complete the album we can find 3 ambient style tracks: the heavenly “so weit so gut“, “years ago“ and the opener track “dub eraldo“. this one has been made by lars fenin together with ERALDO BERNOCCHI, an italian avantgarde jazz guitarist and electronic producer who worked with people like THOMAS FEHLMANN and also neo jazz greats such as BILL LASWELL. 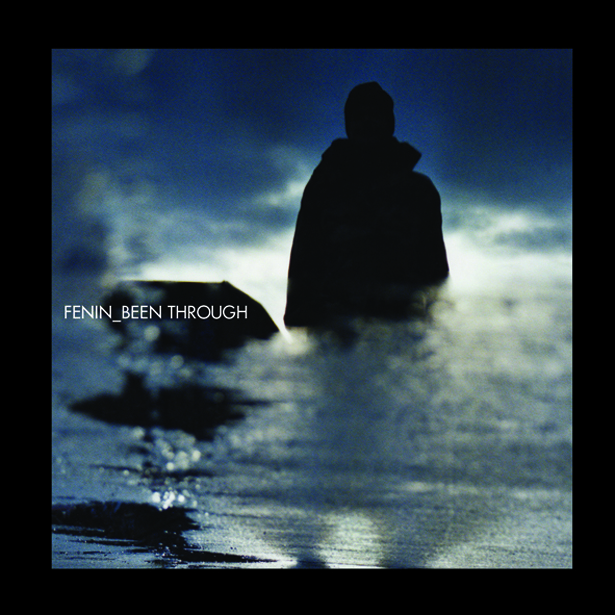 FENIN also released on labels like ECHOCORD, METEOSOUND, REVOLVER, EINTAKT.